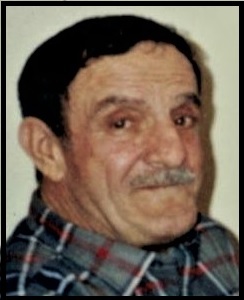 RUZZO, David E., 83, of Providence Street, West Warwick, passed away Monday, March 18, 2019 at Kent Hospital, Warwick. Born in Providence, he was the son of the late Albert D. Ruzzo, Sr. and Domenica C. (DiCarlo) Ruzzo. He was a lifelong resident of West Warwick. Mr. Ruzzo was employed in the construction industry for many years until retiring. He was a United States Army Veteran, a member of the East Natick Veterans Athletic Association and the Pasco R. Senerchia Post 74 American Legion. He was an avid sports fan especially the New York Yankees. He is survived by a sister-in-law, Virginia Ruzzo and several nieces, nephews and cousins. He was the brother of the late Albert D. Ruzzo, Jr., Cosmo "Tex" Ruzzo, Robert Ruzzo, William Ruzzo and Grace Behannon.